Coffee Trail - Counting Stars, Reaching Delphi .✫*ﾟ･ﾟ｡.★.*｡･ﾟ✫*. : Get your Mississippi. As Forrest Gump's momma said, ‘life is like a box of chocolates. You never know what you're gonna get.’ That’s true, you'd never really know. 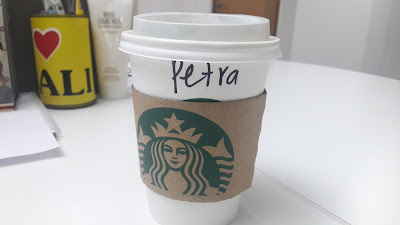 Take for example earlier this week, the barista at Starbucks decided that my colleague would be known as Peter for the day and I got to be his sister Petra. That was a hilarious start and it sure made the day sunny. In reality, we have many of those unknown chocolates. We are all sailors at some point, facing mixed weather conditions en route to the destination. While sunny days don’t erase away threatening waves, we welcome them because they bring some form of comfort and clarity. They give us that little push to cover a bit more distance. It’s nice to be that sunshine and to have some of that warmth around us. The sea had been calmer over the last two weeks, the sails finally out. Signed-off! Some would say its routine, but only those on board know the depth and dangers of that voyage. The next mission is to be on auto-cruise and then it would be finally accomplished. Rivers are tightly knit to the seas, so allow me to introduce to you a coffee I am very fond of: the Mississippi. 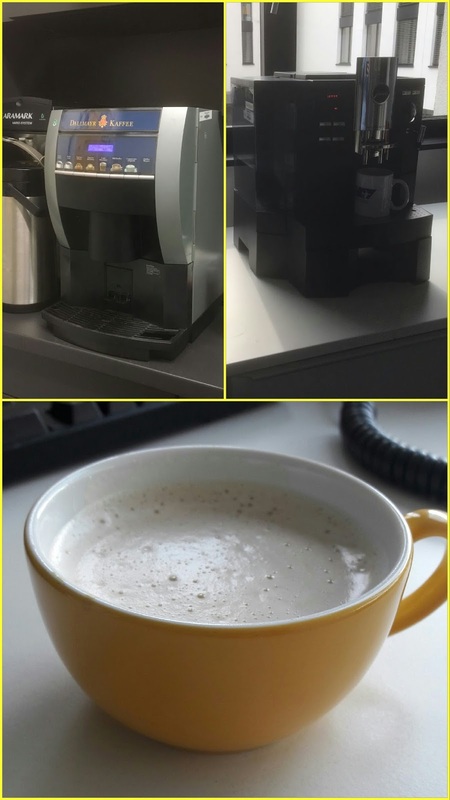 This is a freshly brewed German coffee from an in-house coffee machine, and when you have this in Germany, it fulfils the local coffee criteria. You cannot get any more original than with the Mississippi. I call this coffee so because that's the name of the building where the coffee machine is located. There are two machines doing a fantastic job, but for simplicity, I will just stick to one coffee name for both. 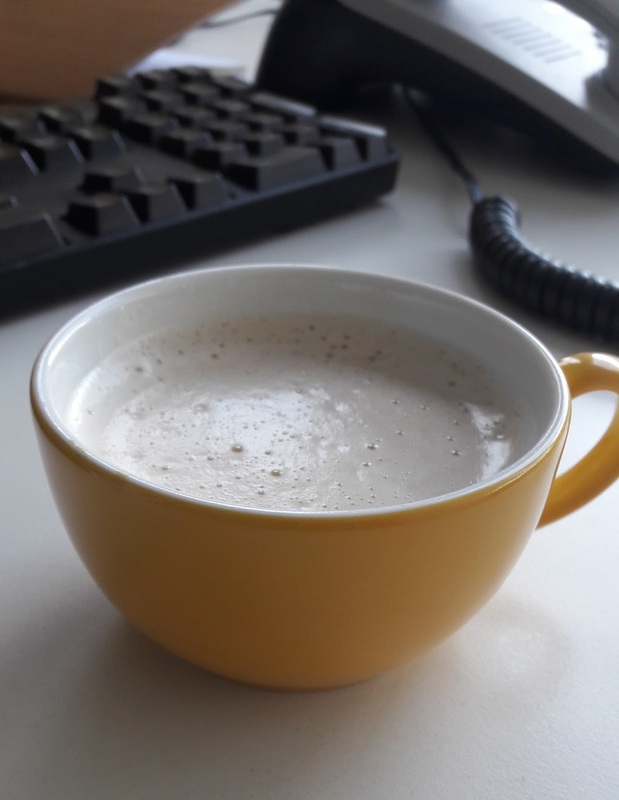 Though technically, the coffee can be served in any mug, its perfection is enhanced when served on the sunny-yellow cups belonging to the organisation. This is shown in the picture. Try a sip, it’s guaranteed to make cold days feel warm. You must have noticed, my premium coffee grading standards are pretty high, but the Mississippi has earned a perfect-7. This week’s coffee journal entry is for all the teams whom I worked with and the friends we made across the globe. We made friends in Malaysia, Czech Republic, Germany, Netherlands and the US en route to GECO. When we meet, I will buy you a similar coffee, scouts honour! To the bubbly barista at Starbucks who served us that morning, the Aiman-like baristas and coffee machines around the world, thank you for being that sunshine, keep doing what you do. Through these cups of coffees, you cheer us up, making our days a little easier to get by....and for me to count those stars.